Dimensions 1 by 4.75 by 6.75 in. Aristotle, great Greek philosopher, researcher, reasoner, and writer, born at Stagirus in 384 BCE, was the son of Nicomachus, a physician, and Phaestis. He studied under Plato at Athens and taught there (367â47); subsequently he spent three years at the court of a former pupil, Hermeias, in Asia Minor and at this time married Pythias, one of Hermeiasâs relations. After some time at Mitylene, in 343â2 he was appointed by King Philip of Macedon to be tutor of his teen-aged son Alexander. After Philipâs death in 336, Aristotle became head of his own school (of âPeripateticsâ), the Lyceum at Athens. Because of anti-Macedonian feeling there after Alexanderâs death in 323, he withdrew to Chalcis in Euboea, where he died in 322.Nearly all the works Aristotle prepared for publication are lost; the priceless ones extant are lecture-materials, notes, and memoranda (some are spurious). They can be categorized as follows:I. Practical: Nicomachean Ethics; Great Ethics (Magna Moralia); Eudemian Ethics; Politics; Oeconomica (on the good of the family); Virtues and Vices. VII. 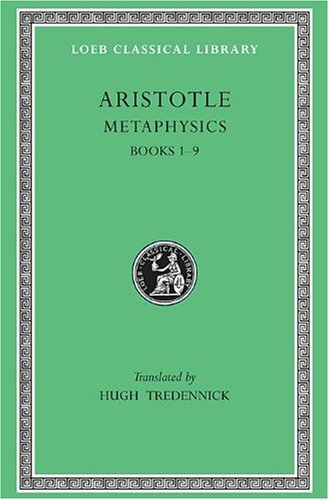 Fragments of various works such as dialogues on philosophy and literature; and of treatises on rhetoric, politics and metaphysics.The Loeb Classical LibraryÂ® edition of Aristotle is in twenty-three volumes. About: Aristotle, great Greek philosopher, researcher, reasoner, and writer, born at Stagirus in 384 BCE, was the son of Nicomachus, a physician, and Phaestis.